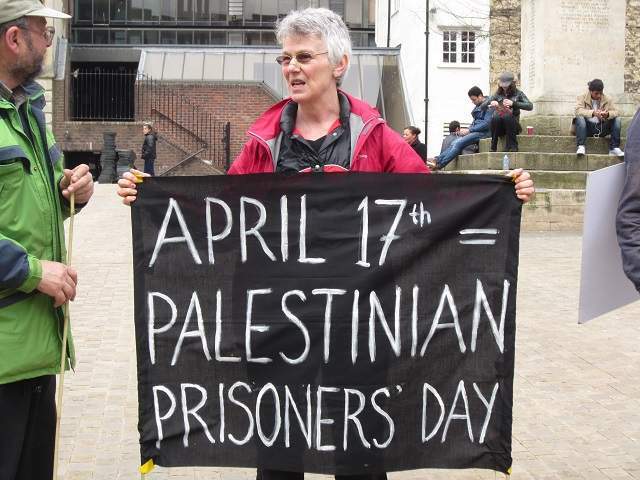 Today, events took place across the globe in solidarity with Palestinian political prisoners. Amna Khan reports on the protests and the context behind the issues. Today marked a day of worldwide solidarity with Palestinian political prisoners, an often forgotten issue. In the UK alone, protests took place in London, Birmingham, Bristol, Manchester, Liverpool, Cardiff, Wolverhampton and Oxford. Over the decades Israel has used various strategies to suppress the Palestinians. One of the most effective ways they have been able to do this is through a relentless policy of mass detention and imprisonment of thousands of Palestinians. Palestinian political prisoners highlight one of many grave injustices that occur on a daily basis under Israeli occupation. Detention and mass imprisonment is being used as an effective tool to suppress the Palestinian population, it is a systematic policy to control and oppress. The aim of this is to destroy any chances of building a normal Palestinian society. Since 1967, more than 800,000 Palestinians have been detained in the occupied Palestinian territory (oPt), this constitutes approximately 20 per cent of the total Palestinian population in the oPt. Palestinian political prisoners are subject to a number of violations under international law and human rights. Some of these include administrative detention, child prisoners, torture and poor prison conditions. Administrative detention is carried out by the executive with no judicial power present, and without charging detainees or allowing them to stand trial. It serves as a pre-emptive force based only on assumption and suspicion. It is supposed to be used only as a last possible resort in rare, exceptional cases under international law. Instead, Israel blatantly violates these rules on a daily basis. The Israeli military holds prisoners indefinitely on the basis of secret information which is neither disclosed to the detainee or his/her lawyers. As of February 2013, Israel is holding around 169 Palestinians in administrative detention. The occupation also holds no mercy for the youth and children. Children as young as twelve are subject to interrogation, arrest and detention. One of the reasons for this is to target the most vulnerable in society: since 2000, more that 8,000 Palestinian children have been detained, with stone throwing becoming one of the most common charges against them. The consequence of this crime under Israeli military law can be up to 20 years in prison. The ill-treatment of child prisoners is “widespread, systematic and institutionalised”, a report by UNICEF found. However, given all of this, Palestinian political prisoners still get negligible coverage in the media and in the international community. Which is remarkable, given Sami Issawi has now been over hunger strike for 250 days. The Palestinian prisoners who have launched hunger strikes are making a political statement against the on-going abuse and injustices. Palestinian political prisoner day hopes to raise awareness, and to end such indiscriminate, systemic abuse. All the prisoners are asking for is their most basic human rights and for due process to be respected. 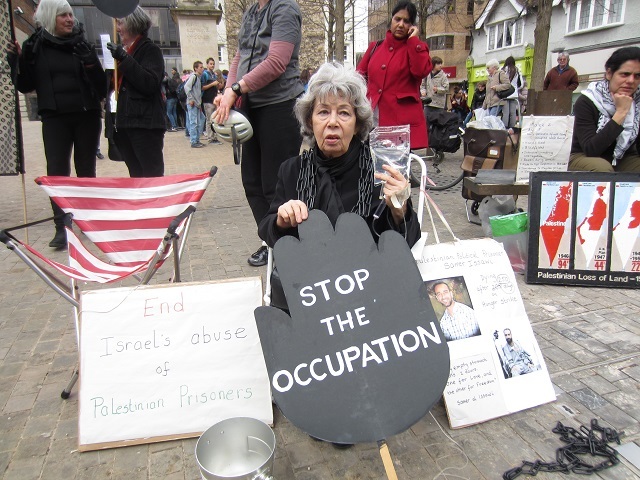 I joined the Oxford Palestine Solidarity Campaign (PSC), Amnesty International and The Women in Black to raise awareness about Palestinian political prisoners in military custody in Israeli jails. Several of the locals participated in a 24-hour fast in solidarity with the prisoners, with all proceeds going to Medical Aid for Palestinians. Ali AlZoubi from the Oxford PSC participated in the local 24-hour hunger strike; he says the main reason he decided to go on hunger strike was to show solidarity with the Palestinian political prisoners. As a Palestinian who has never been to Palestine he felt encouraged by all the support they had received throughout the day. Today marked a success in highlighting the plight of Palestinian political prisoners. People from all ages, ethnicities and religions showed their support and solidarity. Palestinian Political Prisoners Day illustrated one example of the occupation but also that the international community will no longer stay silent or complicit towards Israel’s crimes.